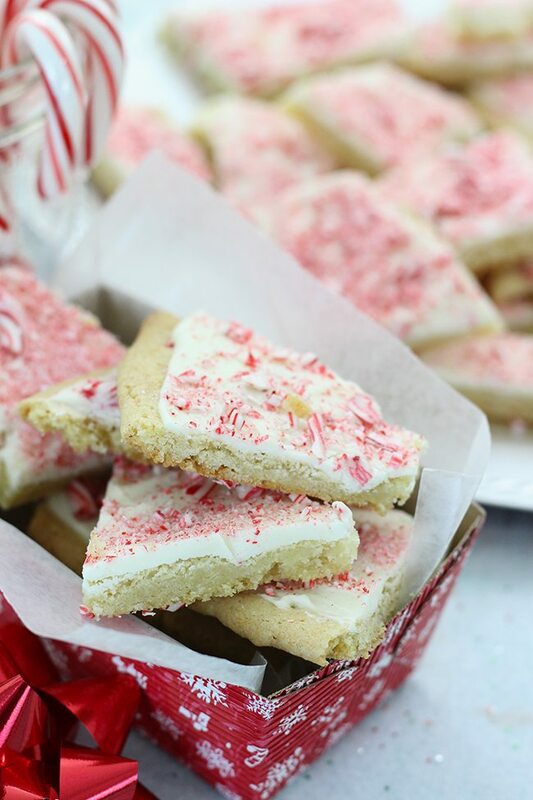 Baking Memories with Peppermint Cookie Bark! 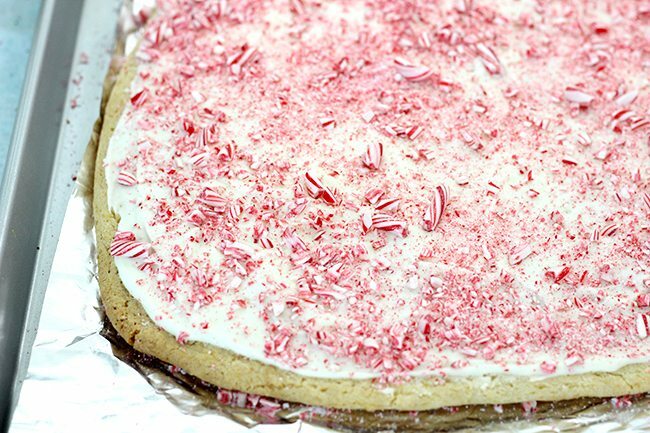 Today’s Peppermint Cookie Bark won my heart.Baking is such a great way to celebrate and spread love over the holidays. Problem is, I’m not all that great at it. It has to be simple and straight forward or forget it. I may as well just head to a local bakery. This delicious recipe I’m sharing today comes together so easily, it’s pretty much foolproof. Right up my ally. I like to think that Betty Crocker just totally gets me. Between amazing baking products to the perfect recipes to bring them to life. Have you ever shared baked goods with a friend or neighbor? Their face just lights up. It’s the time and love put into actually making something and sharing it that just warms the heart. We’re new in our neighborhood and it’s been hard trying to meet people. But, I found the answer! Baked goodies! After I made up a batch, I wrapped them up nicely and headed over to my neighbor’s house. I’ve never seen someone look so thrilled with just a small action. I think something good will come up this small gesture. As far as the rest? We had company yesterday and the whole batch is history. Time to make more and spread some more cheer. 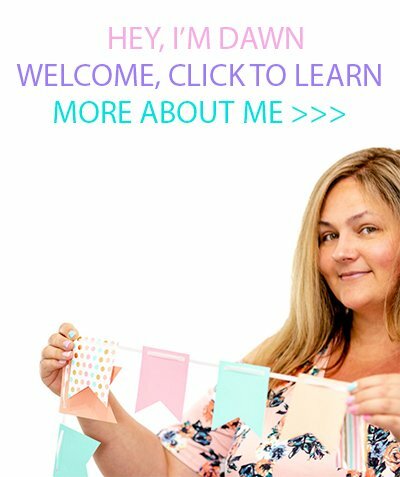 These are so easy to make, you won’t believe it. 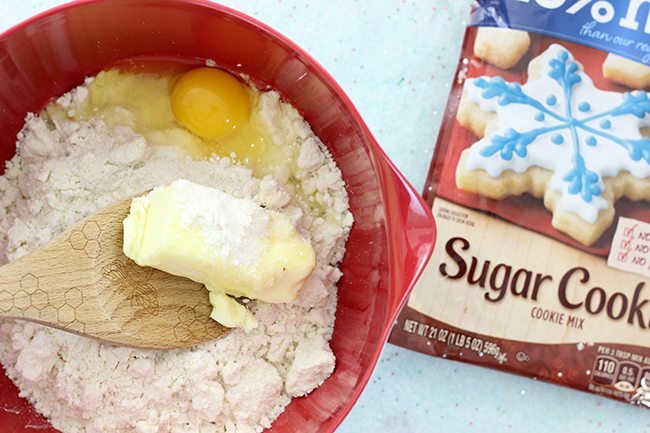 The magic all starts with a bag of Betty Crocker Sugar Cookie Mix. You make the cookies pretty much according to the directions and roll out into a large square on a foil lined cookie sheet. Bake them up for 10-14 minutes until light golden brown. The finishing steps (that’s right, we’re almost done!) 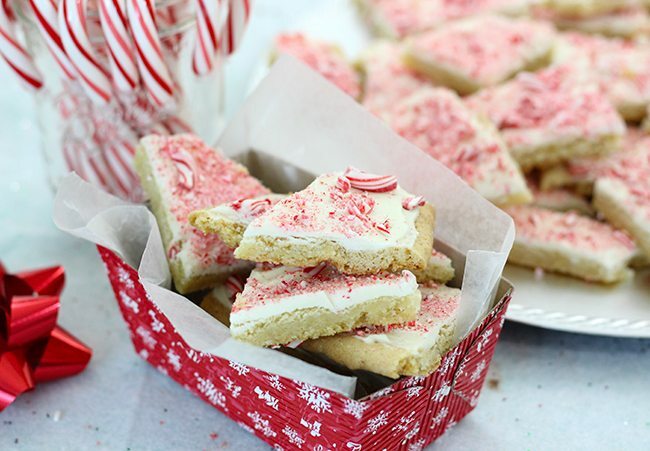 are to melt and spread which vanilla baking chips and then sprinkling crushed candy cane over top. That’s pretty much it. Preheat oven to 375 degrees. Line a large cookie sheet with foil. In a medium bowl, stir cookie mix, butter and egg until a soft dough forms. 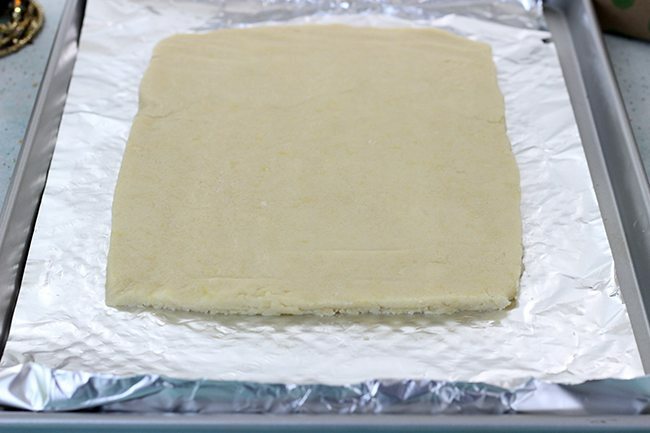 Press the dough into a 12-inch square on the cookie sheet. Bake for 10 to 14 minutes or until light golden brown, then cool. Once cool, in microwavable bowl, microwave white vanilla baking chips uncovered on High 30 to 60 seconds, stirring every 30 seconds, until chips can be stirred smooth. Pour and spread over the cookie base. Immediately sprinkle with crushed candy cane. Let stand until set, about 30 minutes. Gently break up cookie bark. Store tightly covered. Enjoy! Make your shopping list and grab all of the ingredients that you need to bake & spread cheer! 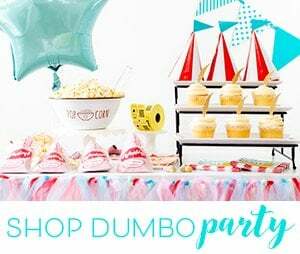 You can take advantage of a money saving coupon for Winn Dixie or Bi-Lo! Do you bake goodies for neighbors, friends & family during the holidays? What do you bake? I would like to try the Russian Tea Cakes. I would like to try the peanut butter cookie truffles. Im Canadian, but have valid paypal. Can I enter? I want to try the SAlted Toffee bars! 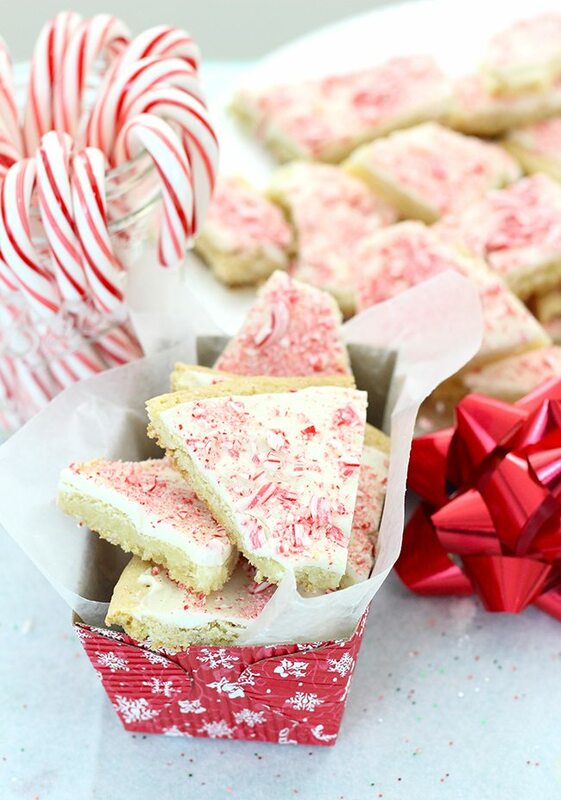 I'd try the peppermint cookie bark. I would like to make the Christmas Sugar Cookie Cutouts. I'd like to try the Salted Toffee Bars.